Suites Viena offers 50 spacious and bright studio-type rooms. 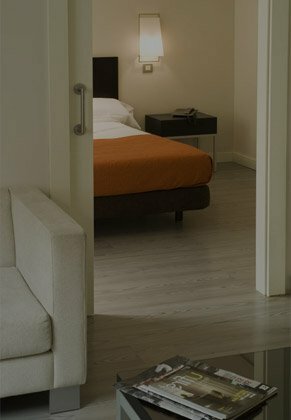 Each room is 269 ft2 in size and is equipped with a kitchenette and free Internet connection. 1 of these rooms is accessible for guests with reduced mobility (you must first contact us to check availability). You can add 1 extra bed (please see “Double Room with Extra Bed) or 1 baby cot (cannot be combined with extra bed) Most rooms of this type are equipped with 2 single beds, so we cannot confirm double beds before arrival.